The 08 day itinerary – the magic of Kashmir will take you in the following cities & villages of Delhi, Srinagar & Pahalgam. We will also witness the beautiful attractions of Srinagar including various mosques of the city. Our stay in a beautiful houseboat in Srinagar will also be a memorable experience to remember for a lifetime. 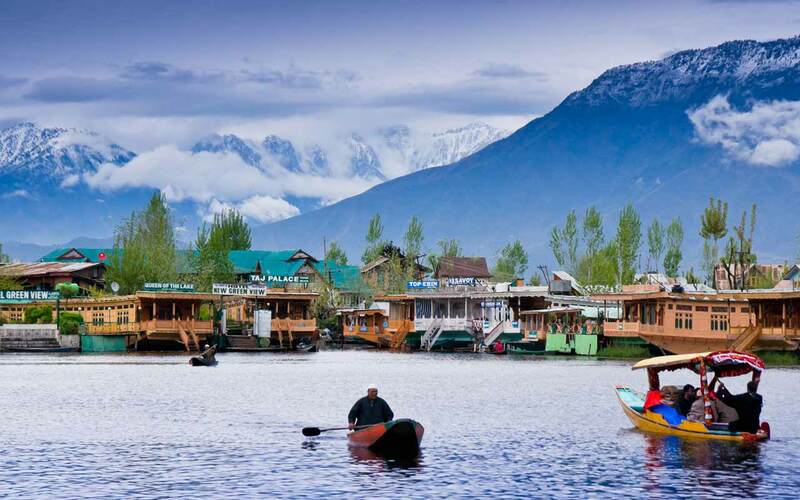 Spread on both sides of the river Jhelum - the Dal and Nagin lakes enhance the picturesque setting of Kashmir, while the changing play of the seasons and the salubrious climate ensures that the city is equally attractive to visitors around the year. The waterways with their own quaint lifestyle, the unique Houseboat, the blossoming gardens, water sports activities, shopping for lovingly handcrafted souvenirs and the nearby resorts make it a cherished spot among those looking for a memorable holiday. The larger and more elaborate pleasure garden of the Mughals is the Shalimar Bagh, four kms away. Laid out by Emperor Jahangir for Nur Jahan, this garden is also divided into four terraces and has a water channel running down its centre. On the topmost terrace is the pavilion reserved for the royal visitors. Supported by stunning black marble pillars, the pavilion had tiny niches that were used to keep fragrant flowers in the day and light up the pavilion with lamps at night. We will also visit the important mosques of Srinagar is the large Jamia Masjid built in 1674. The mosque has thick wooden pillars, each made from an entire deodar tree. One of the oldest mosques in Kashmir, the foundation of the building was said to have been laid as far back as 1398 by Sultan Sikandar. To the southeast is the Rozahbal Mosque, for some esoteric and strange reason known as the ‘tomb of Jesus’. Across the River Jhelum lies the Pattar Masjid, built in 1623 for the Empress Nur Jahan. The mosque was later renamed as the Shahi Masjid. This family-run House Boat has been beautifully built with cedar woods and furnished with carved wooden pieces and Kashmiri objects d’art. The interior of the House Boat is carefully done with all the basic necessities, and offers a perfect seclusion from your busy city life. The front veranda of the House Boat provides stunning views of the Himalayan range and the lotus-flowers that dot the lake. Besides, at night you can even dine under the endless canopy of brilliant stars, lulled by the gentle lapping of water. After breakfast, transfer to the airport to board your flight to Srinagar. 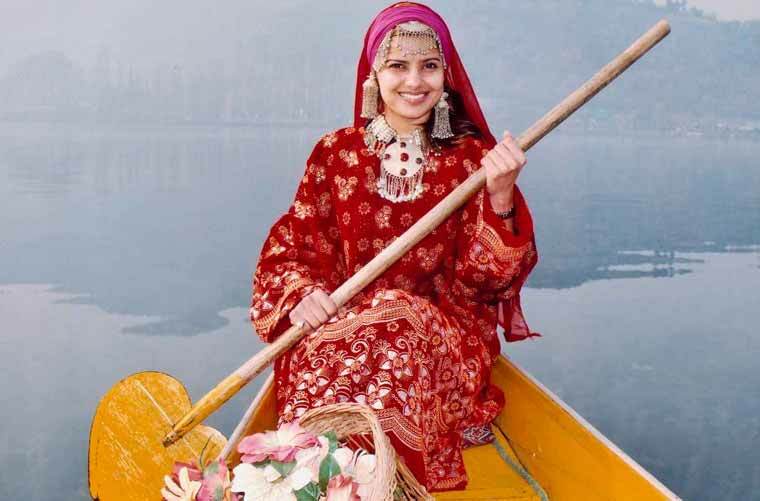 Meeting and assistance upon arrival in Srinagar and transfer to your Houseboat. The beauty of Dal Lake is etenal that God has graced this city which is often compared to Venice. You will get a view of some very interesting places & life around the lake. Today, we will proceed for the city tour of Srinagar. One of the most popular hill resort in the Kashmir valley. Since it has the advantage of the beautiful Lidder River running right through the town and the temperatures do not drop so low giving the travelers once in a lifetime experience. The creation of Heaven, Pahalgam is located at the confluence of the Aru & Sheshnag Rivers and surrounded by beautiful mountain peaks rising behind them. Morning, we will drive to Pahalgham. At an altitude of 2,130m and about 95-km from Srinagar, Pahalgam is probably the most popular hill resort in the Kashmir Valley. Upon arrival, we will check into our Hotel.